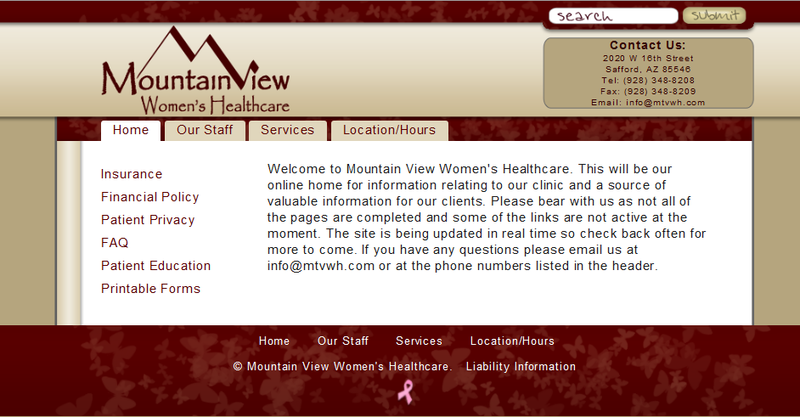 Site was originally designed for the health clinic in 2009. After some issue with payment I took the site down. They were looking for a simple design on a CMS that they could manage from the office. I chose to go with WordPress for the site as it would allow them to do most changes without the need for maintenance. The design took shape in pastels and pinks with brown accents. They were looking for a very feminine site that was easy on the eye.